Achill Signs can design and manufacture exterior and interior directional signs for buildings and public spaces of all sizes. Directional signs are particularly important for developments such as hospitals, shopping centres and public administration buildings - spaces that generate a significant amount of visitors who will be unfamiliar with the layout. A clear, well designed series of signs will help traffic flow, provide an accessible and reliable source of information for visitors, and can help reinforce your corporate image or branding. 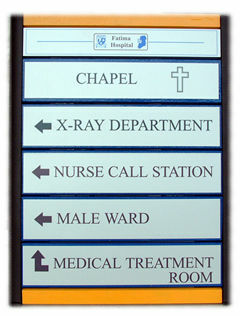 Directional signs can be manufactured from a range of materials including wood, brushed metal and glass. Using vinyl as the base for the printed content, digitally printed directional signage offers a versatile, cost-effective and high quality alternative to traditional hand-painted signs. 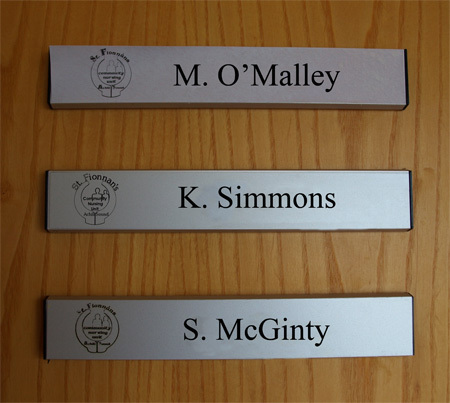 Contact Achill Signs today to discuss your signage needs.